Considerable investment has been made by both pharmaceutical and biotechnology companies in pharmaceutical products of biotechnology. However, because relatively few of these products have been marketed, lack of relevant experience means that uncertainty still surrounds the most appropriate strategy for their safety evaluation. The 13th CMR International Workshop, held in February 1997, provided the opportunity for regulatory authority and industry experts from Europe, Japan and the USA to share their experiences of designing safety evaluation programmes for specific product classes: colony stimulating factors, growth factors, hormones, interferons, interleukins, monoclonal antibodies for therapeutic use, and gene therapy products. Participants worked together to recommend those studies that should be considered for such safety evaluation, and those that may be unnecessary. 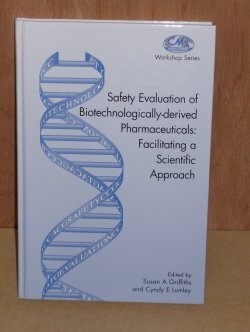 These recommendations subsequently made a valuable contribution to the ICH guideline "Safety Studies for Biotechnological Products", which was finalized at ICH 4 in Brussels in July 1997.200pp.